You ever try to write a blog post, edit photos, answer homeschool questions with a four year old rolling around under your feet? I shouldn’t. I did which resulted in me hitting “post” rather than “save as draft.” Here is the full post with photos from Little Monkey’s special day. 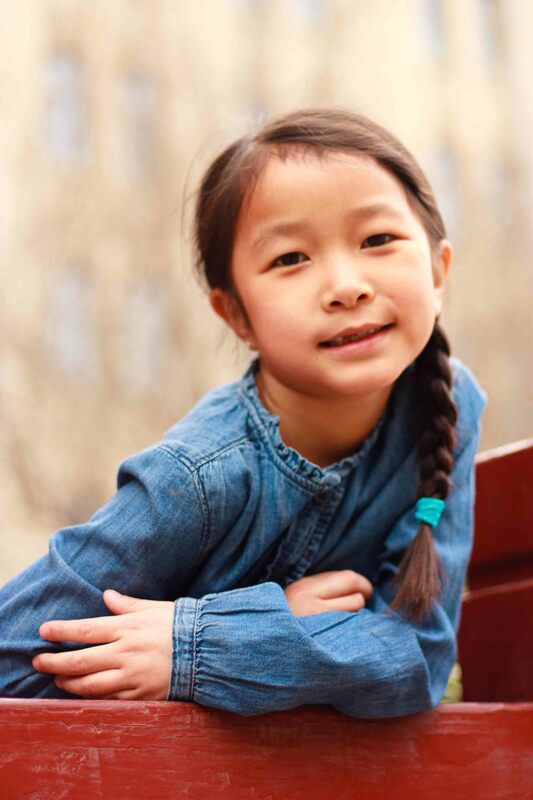 During our travels in February we celebrated the birthday of our sweet Asian beauty. I truly love watching as she grows and matures, but I must admit that each milestone also brings my heart a twinge of pain. Eight. Sigh. To further confirm my theory that this child is growing up fast….she has a bucket list of things she wants to do/see in her lifetime. What 8 year old does that?! 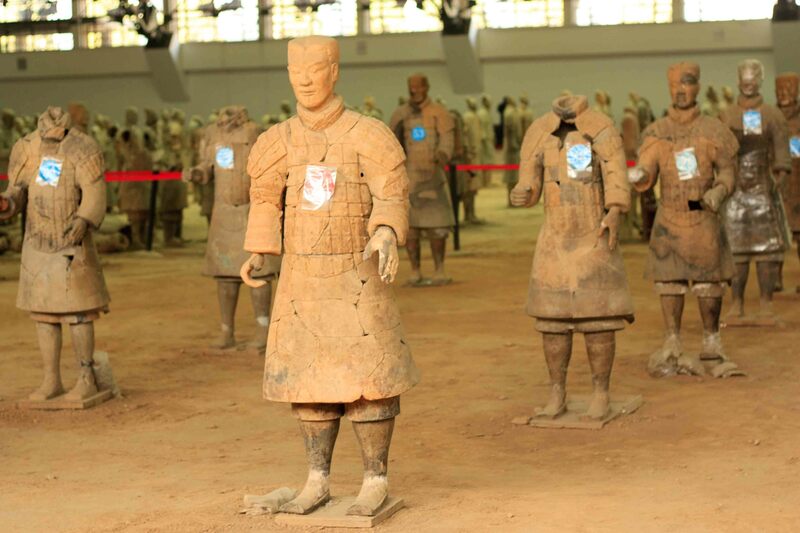 One of the things on that list was to see the Terracotta Warriors. We just happened to be traveling through the city where they are located around her birthday. It was such a fun way to celebrate our girl! 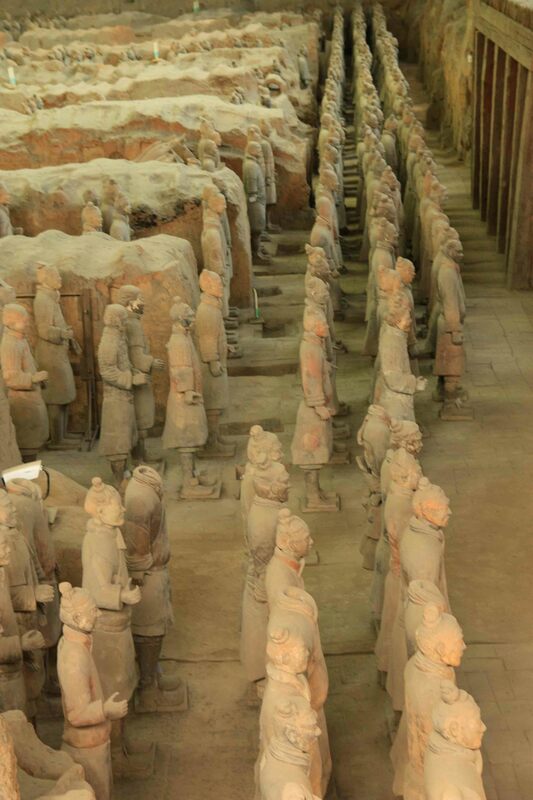 We spent the day learning more about the buried army, Chinese culture and taking many photos to remember the day. 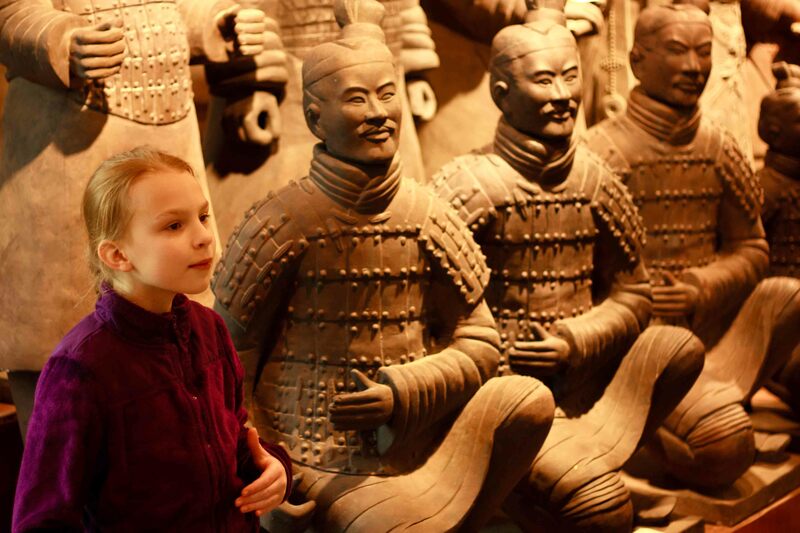 Not sure which we like better…the Great Wall or the Terracotta Warriors. Each soldier made around 221 BC has a uniquely carved face. Cool. But the Great Wall is the biggest man-made structure in the world and also constructed way before power tools. Unimaginable. 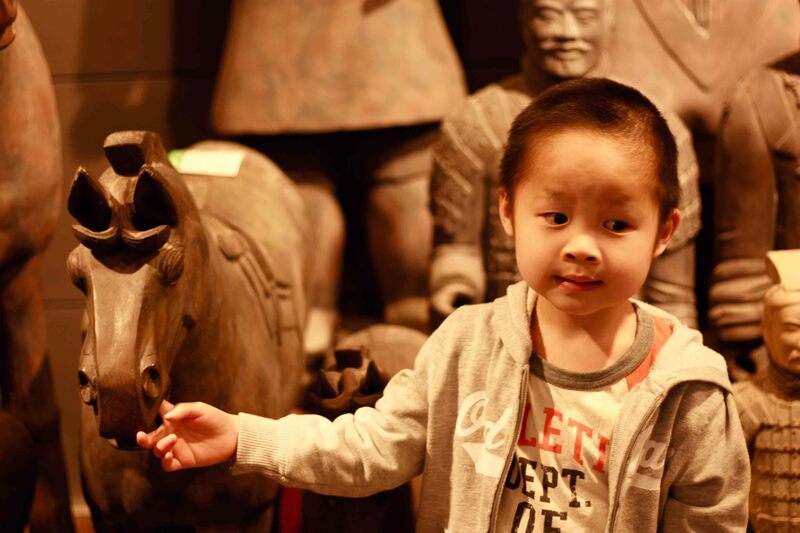 We love the history and rich culture of this country! Don’t let Soccer Dude’s “been here done this” look fool you. 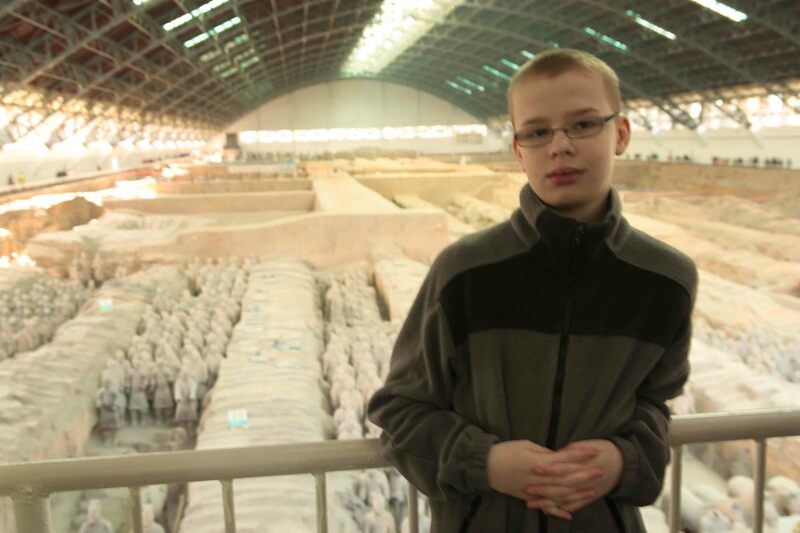 He acts to cool for school when I ask him for a photo, but when it comes to reading about this stuff and watching the work of the archeologists….He might have enjoyed our day more than the birthday girl. 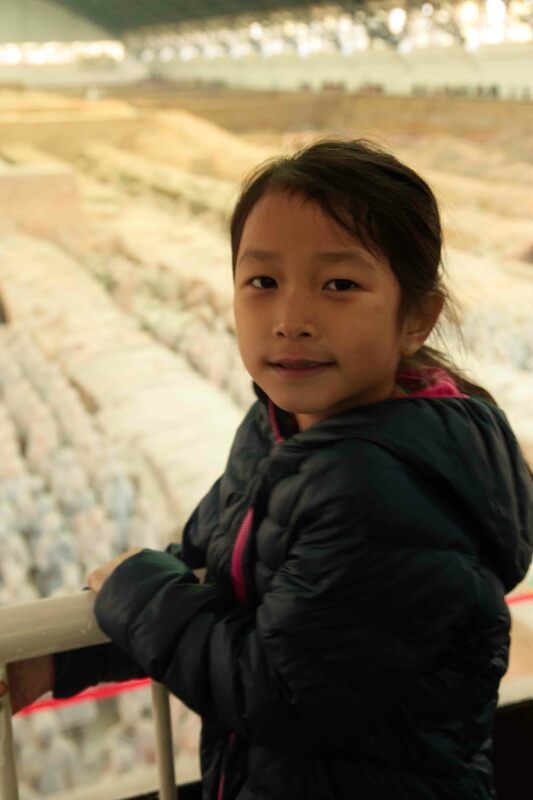 Now the other two kids…they might not be our history buffs, but they can make anything an adventure. Here are my two crazies making the day just that much more fun. We wrapped up the day with a trip to McDonalds for burgers. We can’t get burgers in our city so it was a treat. Little Monkey was a bit put out that I couldn’t make her a cake in our hotel room, so a surprise fruit topped cake compliments of our hotel was a fantastic way to end our day. I could tell you so many more stories…like how we decided to save money and take the public bus out to the Warriors. We were the only crazy expats on the bus and the driver decided he didn’t want to finish the route and just dumped us out in the middle of no where. We ended up on a mini bus with a bunch of grannies who had never seen white people on their local buses and where sure I didn’t know how to parent since my children weren’t wearing enough clothes. You should have seen the look on their faces when I clued them in that I understood what they were saying and respectfully told them in mandarine that the kids weren’t cold and that many American families have four children. I love shocked expressions….followed by conversations with locals! Wink! All in a day in the life of a crazy family who live cross-culturally. I am totally amazed she is eight. i remember waiting to get approval and asking some important questions to get her papers moving. Ah yes how time flies! :0 She looks beautiful! Happy 8th birthday!